If you want SERO to organise your airport transfer, fill out our Airport Reception Form and send to us before you leave your home country. We will make the arrangements for you and confirm the arrangements by email. Due to SERO Institute’s central locations, accommodation all around the cities is easy to find. Visit Realestate.com.au, Gumtree.com.au and Flatmates.com.au to find rental accommodation. It is recommended that you book temporary accommodation before arriving. Backpacker hostels are a popular choice for cheap short-term accommodation. They are perfect for socialising and meeting people from all over the world. Bunk backpackers have facilities both in Brisbane & the Gold Coast. 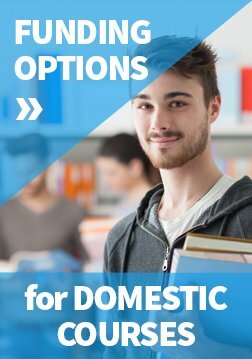 Are you studying in Brisbane and haven’t decided yet on where to stay? In addition to our great student friendly facilities such as the gym, cinema, study spaces, lounges, games rooms etc, check out these TEN reasons why Student One is the right place for you. Yes it is completely free and you can use as much of our highspeed WiFi as you like. Anywhere and anytime at Student One. You are likely to spend more time in your place of residence than at your place of study. Location is therefore of great importance. 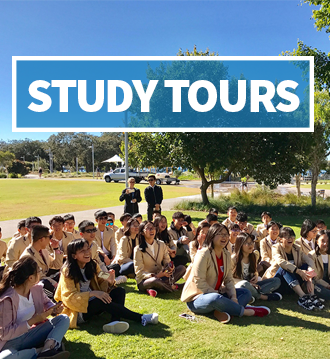 With Student One being right in the middle of Brisbane you have everything on your doorstep, including buses that take you to all of the main universities and private colleges. We even have a couple of restaurants in the building plus a small supermarket open from 6am to 10pm, every day, 7 days a week. Student One gives you the freedom to decide when to check in and how long to stay. Unlike many alternative accommodation providers, we leave that decision up to you. All we ask is that your stay is a minimum of 4 weeks. when you apply for accommodation with us the process is absolutely FREE and very simple. You do not need to pay for anything until you have had sufficient time to consider the offer we make to you. We also guarantee you an offer within 48 hours, and it is generally a lot quicker than that. if your circumstances change and you can no longer get to Brisbane to stay with us, then provided you give us a 2 weeks-notice before your agreement starts, we will refund all monies paid. If you cancel within the two weeks prior to the commencement of your contract, whereas we will retain the 2 week deposit you will be released from any further obligations. when you pay the rent to us, there are no additional surprises. Your safety is our primary concern, and we mean it. Our buildings and all living areas are electronically access controlled. We also have discreet CCTV surveillance that provide additional peace of mind. The multi-lingual team at Student One is on duty 24 hours a day, every day, so you can check in, pay a bill, or seek advice at any time. Do you simply want to arrive, unpack and get studying? 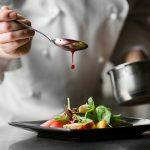 Then check our bedding packages, cutlery, crockery and other essentials available online for both purchase and hire. whereas we are not able to provide someone to do your washing for you, we have done the next best thing and provide, for a moderate fee, access to two spotlessly clean laundries which even send you an email when your washing is done. If there is a mum out there that is worried about the frequency of cleaning we also provide the ability to purchase laundry credits online from anywhere in the world. By focusing solely on the needs of the students, our flexible and holistic approach delivers a premium student living experience. So whatever question you have about student living in Brisbane, the answer always adds up to One – Student One. They have developed a Homestay and accommodation program that ensures a safe, clean and comfortable environment, and students have access to the Homestay Coordinator 24 hours a day, 7 days a week. Each family is visited and the homes are inspected to ensure students are placed in clean, caring and friendly homes. Students are provided with a one page profile of their Homestay before arrival, including a family photo and photos of the home. A Demi Pair is a full-time student also working as a part-time Au Pair. Families provide a minimum of 8-16 weeks of accommodation, nutritious meals and a safe, supportive family environment in exchange for the student providing 15 hours’ work per week including childcare, cooking and household duties such as cleaning and laundry to assist busy families. Students work around their school hours and weekends are free time. A Student or Working Holiday Visa is normally required, however short term students can still apply for the program while on a Visitor visa, although some conditions may apply.